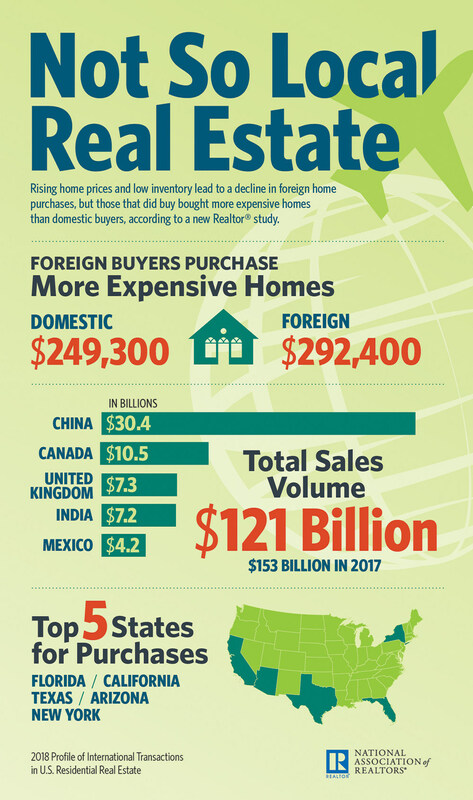 According to the National Association of Realtors (NAR) annual survey of Profile of International Transactions in U.S. Residential Real Estate, international sales are sliding. From April 2017 to March 2018, the foreign home purchases sank 21%.